1 1/2 hour lessons with Apollo Bay Surf & Kayak, learning to surf with qualified coaches who teach in the water with you. Learn in waist deep water with easy to ride waves. Full-length wetsuits and safe soft ‘G’-Boards to make your whole experience fun. We aim to get you standing first lesson! Make new friends meeting fellow learners and local, friendly Aussie Instructors. Our staff are happy to answer any questions you may have. Learn how to carry the boards safely and be respectful of other surfers. Our supportive and relaxed staff will help build your confidence in the water with instruction in Surf Safety and Ocean Awareness on Apollo Bay’s safe surf beach. 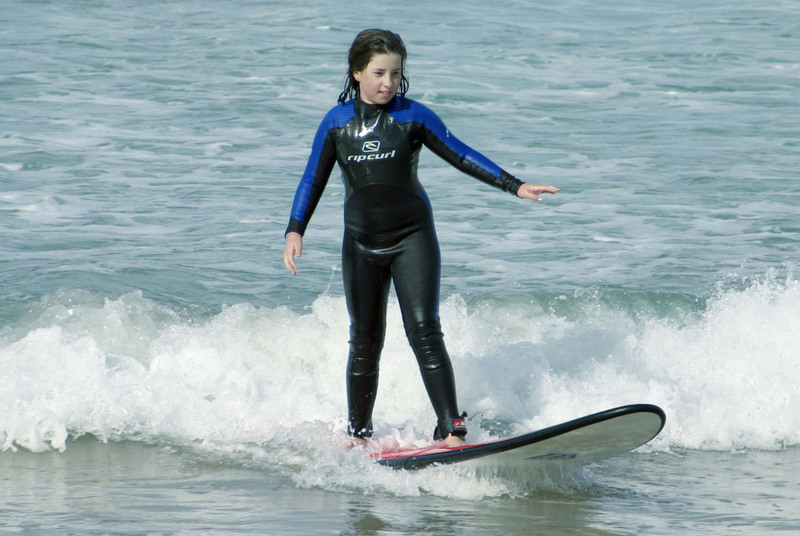 We have been running surf lessons for over 15 years in Apollo Bay. You need to be able to swim at least 25m. Meeting the instructor and other students and fitting of wetsuits. Boards and leg ropes are issued and sunscreen is applied! Surf awareness talk to educate students and make them aware of the surf enviroment. Demonstration on how to carry the board safely and how to enter the water whilst being aware of other surfers. How to lie and paddle on the board and how to catch broken waves. Practising back on the beach how to stand on the board and get to your feet, and how to aim the board. In water instruction given and continued help of pushing students onto the waves. End of class with an opportunity to ask further questions.